In almost all car, bike or motorcycle accidents, it is important to be able to prove who carries the car accident liability. In other words, who made the mistake or was negligent. It may be obvious to all parties involved who was at fault in an auto accident, but just saying so is often not enough for insurance companies. You can make a stronger argument to your insurance provider if you can support your side of the story with evidence or “official” support. 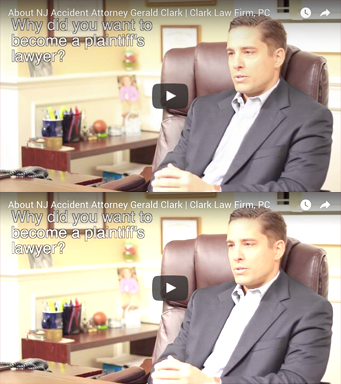 What follows is a short list of things that the experienced automobile accident attorneys at Clark Law Firm, PC may use to prove your case. Police do not always come to the scene of an automobile accident, but if they do, the police officer will probably have to make some sort of official police report about the accident. Police officers generally show up to accidents that involve injuries, but they often stop at non-injury crashes as well. If they do investigate your accident, be sure to ask the officer how to get a copy of the police report once it is filed. Sometimes police officers do arrive at the scene of an accident at all. In cities and places where police resources are slim, it is often left up to the parties to the accident to report it to the closest police station. After filing a police report this way, investigators may pick up your report and conduct their own inquiries. You can obtain copies of these reports in much the same way as mentioned above. Police reports are really just the written recollections and thoughts of the police officer that studied the crash. These reports often contain evidence about car accident liability, such as the police officer’s opinion that one car must have been speeding based on the officer’s observations about the length of the skid-marks on the pavement. In addition, police officers will also often indicate whether or not they issued any traffic tickets at the scene of an accident. No matter how much detail the police report contains, it can be one of the most important pieces of evidence presented to the insurance company. Insurance companies may drag their feet about issuing car accident liability reports without first obtaining a copy of the official police report. There are certain kinds of automobile accidents than will almost always be one driver’s fault and not the other. In these situations, insurance companies may nevertheless argue that you are at fault. Even if they agree you are not at fault, they will probably argue you have not suffered any significant injury and may claim you a faking you injuries. This is all aimed at not having to pay out on the claim. Rear end accidents are one of the most common types of automobile accidents. One of the most basic rules of the road is that a driver is supposed to leave enough room in front of your car to be able to stop as need be, even if the car in front of you makes a sudden stop. If the car behind you could not stop before hitting you, he was probably not driving safely. The other way to prove liability in a rear end crash is by considering the damage to the vehicles. In most situations where one car’s rear end is damaged and another car’s front end is damaged, there really isn’t much to argue about who hit who. Even though the driver of the car that hit you may not have a claim against you, however, he may have a claim against a third party driver that caused you to stop suddenly, or against a car driving behind him that pushed him into your car. This should not seriously affect his liability for the damage to your car, however.